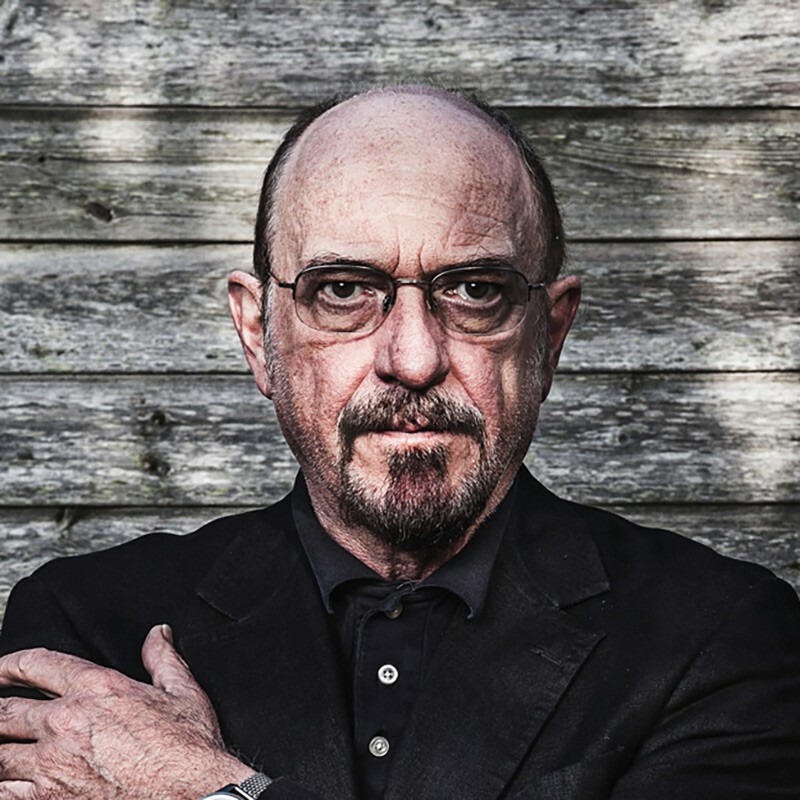 Ian Anderson Interview: "I Don’t Think Jethro Tull Belongs in the Rock and Roll Hall of Fame"
Formed in 1968, British rock group Jethro Tull has released 30 studio and live albums, selling more than 60 million copies worldwide. Encompassing nearly 50 years of history, the band has performed more than 3,000 concerts in 40 countries. Now, Ian Anderson, John O’Hara and the Carducci Quartet are set to release Jethro Tull-The String Quartets, a collection of 12 re-imagined Tull classics, allowing fans and classical music connoisseurs to enjoy the band’s vast catalog in a new way. Sixty-nine year-old Ian Anderson is a Scottish musician, singer, songwriter, flautist and guitarist that is best known for his work as the lead vocalist in Jethro Tull. His solo work began with the 1983 album Walk into Light, and since then he has released another five works, including the sequel to the Jethro Tull album Thick as a Brick (1972) in 2012, entitled Thick as a Brick 2. Jethro Tull-The String Quartets will be available in the USA on March 24, 2017, via The End Records/BMG. A 2017 global tour will accompany the release, and the album is now available for pre-order on PledgeMusic. Melissa Parker (Smashing Interviews Magazine): Ian, why did you want to add a string quartet to some of Jethro Tull’s classic hits on this album? Ian Anderson: Well, I suppose one could ask why I wanted to use a string quartet in November 1968 when I recorded “A Christmas Song” with a mandolin, my vocals and a few other things. But, my interest in string quartets began back then. I always found it rather intriguing because of the simplicity, apparently, of a small group of string musicians, but the incredible subtlety and complexity of the relationship between them as a coordinated small group. Over the years, I’ve worked with string quartets live on stage in addition to the band of rock musicians. I thought it would be nice to do an album where we didn’t have the rock musicians where it was really just the string quartet with a few judicious additions. It was really a project that began about a year ago in earnest when we started looking at specific songs. John O’Hara, our keyboard player, and I got together and talked about some possible songs and looked at some quartets in Europe, but it’s all about availability. I was able to find a group of people, the Carducci Quartet, who struck me with enthusiasm and expertise and were able to find a little hole in their calendar where we could spend three or four days working together. Melissa Parker (Smashing Interviews Magazine): How did you choose the songs? Ian Anderson: We wrote down a whole bunch of possibilities and thought it would be nice to include some that were pretty obvious and easy to do, but there are some I chose that were not easy to do and required perhaps a more radical re-thinking of the nature of the songs and how we could make it work with a string quartet. I chose others like “A Christmas Song” because of the way they were done originally. “Wond’ring Aloud” was done with a string quartet. So, those two were very much re-created of something I’d done before many years ago. I chose the venue, in which to record, after some exhaustive traveling around to churches, particularly the ones around the southern part of England and looked at a couple that seemed to fit the bill and were available because churches are working buildings. They are open to the public, and you have to negotiate your presence very discreetly and carefully in terms of being able to have some degree of isolation from ambient noises and some privacy in the sense that you are behind doors. That meant, essentially, a church where nothing much was happening. I chose an historic church that is preserved, but very rarely used for church services, in a tiny village in the wilds of Gloucestershire. I chose the crypt of Worcester Cathedral, and they were kind enough to put a sign out, saying “Crypt is closed today,” so we could work down there whilst up above us in the body of the cathedral, life went on as usual. We occasionally had to stop work because of noise and things going on above our heads, but we knew that was going to happen. Melissa Parker (Smashing Interviews Magazine): I think this rendition of “Bungle in the Jungle,” is amazing! Ian Anderson: Well, that’s one of the last songs to be chosen. I threw that one in partly, I suppose, because I knew it was a popular song in America. It’s not particularly a big Jethro Tull song in other countries, just in the USA. I thought I’d better make sure I had one or two of the heavy hitters that would appeal to people in different parts of the world because not everyone likes the same Jethro Tull records. That’s something you need to think about when putting together a setlist for live concerts and putting out a “best of” collection of music. I didn’t want to be ruthlessly just picking the 12 most played Jethro Tull songs ever. It had to be a little bit more creative, so there are two or three things you wouldn’t put in the top 10 of anybody’s list probably, but for the most part, I tried to stick with songs that were the landmark Jethro Tull tracks of their time, obviously focusing on the early days in the 70s and 80s. Hopefully, it will appeal to Jethro Tull fans who are already familiar with that music but in the context of the original rock band recordings. Melissa Parker (Smashing Interviews Magazine): January 24, 2017, marked the 48th anniversary of Jethro Tull’s first US tour in 1969. Ian Anderson: That very first tour was quite a tricky one to do because we really didn’t have a lot of gigs. We took off for America, and I think we had shows at the Fillmore East, with owner Bill Graham and Boston Tea Party, the late 60s venues. That was a guy without whom probably Jethro Tull would never have gotten started. We were there for 12 or 13 weeks on that first tour. A lot of the time we were sitting on our hands in very cheap accommodations, hoping there’d be somewhere for us to play tomorrow night (laughs). We suffered a little bit, I think, at least from that tortuous first tour. The second tour was a bit easier in the summer. That was when we were on tour and doing some days with Led Zeppelin. In the third tour in the USA in ’69, we were a little more confident. We had our second album released. We had some new material to play, and it was an opportunity to get noticed in some other markets in the USA other than just the obvious major cities, so we expanded our position. I think with that third tour, 1969 was indeed a busy time, and in the midst of all that, of course, was Neil Armstrong setting foot on the moon. Things like that were incredibly passionate moments of American spirit, and I was there when that was going on. That was very exciting. Melissa Parker (Smashing Interviews Magazine): I watched the moon landing also in 1969, then many years later was honored to have interviewed Buzz Aldrin. Ian Anderson: Yeah. I’m sitting here with a CD mounted on a plaque that was just sent to me by one of the NASA astronauts, and it’s an Aqualung CD which he took on his mission on the Space Shuttle back in the 90s. Curiously, he was on Discovery, and Discovery was also the shuttle on its last flight back to earth, before it was decommissioned, that brought my flute back from six months on the International Space Station where it was played by an American lady astronaut who was an amateur flute player. I have a couple of those little connections with things in my possession which have been into space, so those are fond little mementos that have been a part of my lifetime and even before I was born, as Von Braun was building the two rockets to try and annihilate London (laughs). Later on, it was the man behind the Saturn that took a series of astronauts into orbit and to the moon and back. Then, of course, the years of the Space Shuttle. So, it has been a part of my life almost exactly, really. Melissa Parker (Smashing Interviews Magazine): Why do you think Jethro Tull is not in the Rock and Roll Hall of Fame? Ian Anderson: Jethro Tull is not American. We’re not really a band, and I’m not a songwriter that is infused with the American spirit, and from a musicological point of view, part of my early influence is blues and essentially black American music, but it’s a small part of the bigger picture. I don’t think Jethro Tull belongs in the Rock and Roll Hall of Fame. That should primarily be celebrating the amazing array of Americana in music terms. That’s what it should be doing. There’s a whole bunch of American artists, performers and writers who ought to be feted by the Rock and Roll Hall of Fame long before they get around to people like us. I don’t know what the current makeup of the custodianship of the Rock and Roll Hall of Fame is, but it certainly was the case that at least one of the people there had an active dislike of Jethro Tull from his days in the media in the 70s and 80s. So, I guess, there are some folks who think we would be far away not on the list. Having said that, from the earliest days of the Rock and Roll Museum in Cleveland, I was asked to donate some things. I’ve only ever been there once, but I was in a glass cage next to Rod Stewart. I remember seeing this exhibit of Rod Stewart in an impossibly small outfit and me in an equally impossibly small outfit. All I can say is the folks should change their dry cleaner because they managed to make Rod and I both look as if we were midgets. We’re both relatively small in stature, but not as small as that suggested (laughs). That was what struck me about that, and of course, they’ve got a few other artifacts of mine like guitars, flutes, records and whatever. I don’t know if they’re on display now, but they were. So, we’ve been in the Rock and Roll Hall of Fame since the beginning, but I think what people mean is we are not inducted into the Hall of Fame in the sense that other artists are. But, we’re not American music. I’d feel quite embarrassed and uncomfortable should we ever get an email or a phone call and would feel very awkward about it. But, I think you’ve got to say, “Is this really what is appropriate? Do I deserve it?” I don’t think it should be a foregone conclusion. I think you wrestle with some pros and cons whenever anybody gives you any kind of accolade. It’s sometimes a bit of a mixed blessing, but I’m sure it’s not going to happen, so I won’t have to wrestle with that one. People ask me that question assuming I’m going to be bitter about somehow being excluded while many of my peers are inducted. But, we’re talking about a commercial activity in Cleveland. Put it in perspective. It is what it is, a business, and it’s celebrating a huge amount of history of American music. As I say, I was one of the first acts to be invited to supply some bits of artifacts, so in a sense, I’ve been there longer than many. Melissa Parker (Smashing Interviews Magazine): Will there ever be a reincarnation of Jethro Tull, even with new members? Ian Anderson: There’s 30 different people that have been through the ranks of Jethro Tull over the years. First of all, some of them are sadly no longer with us, many of them are not feeling terribly well at the moment, and those that are alive and kicking, many of them are not playing music. So, you’re limited. There’s just no option. They’re not going to be able to do it anyway. The problem is also that there was so much music over so many years that to try and find a group of people who can play all of that stuff, I would be struggling to find any guys that could do any better than the guys I’ve been playing with for the last 12 years. That’s the longest period of time any variation of that group has gone without a change of a musician. There’s a relatively stable group of people with me at the moment, but I don’t have any intention of asking any one of them to step aside in order to incorporate someone from the past who would probably really be struggling to play all of the musical styles. You have to be very musically capable and have an encyclopedic knowledge of not just musical styles but the technical expertise available to play them in the way they were played originally which sometimes requires a kind of naivety and the ability to kind of simplify and put a kind of sensual nature on it, and sometimes that’s something you lose. I think I know how to do that. Over the years as a songwriter, I can see my own evolution, but for other guys, it’s a huge amount of repertoire and an enormous task to accommodate. The other four guys I worked with have managed to do that. So, unless one of them drops dead, I couldn’t see replacing anybody in my lifetime, which musically speaking, has a finite future. Melissa Parker (Smashing Interviews Magazine): I understand that former Jethro Tull band member, Martin Barre, is heading out on tour with his band, playing music from the Tull catalogue. Ian Anderson: Martin has been playing music with his own band since the 90s, and it was something I always encouraged him to do. I encouraged him to get out there and do tours and make records. I also encouraged him not to get a singer or a flute player because I told him that he didn’t want to go out there and be seen as a tribute band, that he should be doing his own version of Jethro Tull songs. But, it took him a long time to really get the bit between his teeth. It happened in the last two or three years. He’d been doing steadily more and more shows, and now he’s really pretty busy doing things in many different countries, the US as well as several parts of Europe. At this late stage of his life, he’s out there doing things that I know I encouraged him to be doing back 20 years ago, really. It’s good to see he’s doing that. Of course, he does have a singer, and I think that occasionally you hear the sound of a flute. But, Martin played flute before I did. He began playing flute and saxophone, and then switched to guitar, I think, when he was a youngster. Melissa Parker (Smashing Interviews Magazine): What are your feelings about the new Trump administration in America? Ian Anderson: Well, I’m the diplomat that probably Mr. Trump isn’t, so I would certainly not venture an opinion that was not my place to do. I didn’t vote for him because I’m not an American citizen. We, I suppose, in Europe as a whole, looked with disbelief at the campaign because it seemed incredibly divisive, and it was very hard to believe that he would achieve the votes, so we thought we wouldn’t have to worry about it because it just wasn’t going to happen. We were in the US during that whole final period of running up to the election. I remember telling lots of people to remember that we had just been through the Brexit vote and a vote for the new government, and against the odds, got it all wrong by a factor of about 4%, largely because people didn’t always tell the truth in these polls about who they were going to vote for. It turned out a lot of people who did have perhaps more right-wing views or some extreme views in regard to certain issues didn’t really want to admit it because they didn’t want to be called racists. They didn’t want to have arguments with their families or friends, so many people didn’t own up to what they were going to do. I think that was a surprise that everybody faced, that last-minute swing where suddenly the polls got it wrong by about the same factor in all of those cases. America has the two-party system with traditional conservatives against the more liberal and democratic, but neither might’ve not satisfied what a lot of people wanted. Guess that’s why Trump won. He’s his own man and doesn’t follow the rules. But, I’m not sure that makes him in any way qualified to be a president. With his very outspoken and very changeable views, I guess we’ll be seeing in weeks to come whether he’s going to follow through on election pledges or whether he back peddles. Melissa Parker (Smashing Interviews Magazine): What’s coming up, Ian? Ian Anderson: I have to finish a couple of demos to send to the group because I’m working on a new project for 2018. We’re recording and rehearsing the first part of February and off to do some concerts in Eastern Europe. In March, we’re working again on more tracks for the album. In April, we’re off to Australia and New Zealand. Then, May, June and July, we’re working through three US tours, one in May, one in August and another in November. South America is later in the year and a whole bunch of European dates on and off in the summer. So, yeah, we’re busy as usual. Melissa Parker (Smashing Interviews Magazine): There are certainly no signs that you are slowing down! Ian Anderson: Luckily, at my age, I’m able to continue with my work because we don’t have to retire at age 65. So, I’m very glad I chose not to have a career in commercial aviation because if I were a captain of a British Airways 747, I would’ve had to hand my stripes back five years ago. I know some US astronauts who are 20 years younger than me, and two or three of them, sadly, are not going to fly again. If you’re a tennis player or racing driver, life is over at 35, really. If you’re an astronaut or a jet pilot, you’re likely to go into your 50s. If you’re an opera singer, chances are you’re going to be struggling as you get into your 50s as your voice begins to lose its range. Some of us who do what we do, I guess, in music, arts and entertainment, are not constricted in the same ways as other professions, so we should be terribly grateful for that. We can continue to be productive and creative, and that goes on as long as it goes on. Then, some of us die with our boots on and some just sort of fade away. Of course, sadly, as we see increasingly, it seems many folks die before their time because of long-standing, accumulative effects of lifestyle commonly associated with rock and roll. But, a lot of them keep going, like Mick Jagger, Paul McCartney and Keith Richards. They defy the laws of physics and biology to be still performing in great form. Some of us are still at it. But, I grew up as a teenager listening to the music of jazz and blues musicians in the world of my father, so I think I had that feeling quite early on that it’s quite a good thing to be doing because if you were lucky, it could be a job for life. Melissa Parker (Smashing Interviews Magazine): And, fortunately, you never fell prey to that rock and roll lifestyle all those years ago. Ian Anderson: In many cases, it’s proven to be an unwise choice that some folks made when they were in their teens and 20s, and maybe that’s the object lesson everyone needs to know. You take a risk once you go down that route of that kind of party atmosphere of recreational drugs, and the whole thing can escalate out of control. Maybe in some way when I was a youngster, I was around those kinds of people, and it was a lesson. Maybe I learned it wasn’t a good idea. I was never seduced by it. I didn’t feel any peer group pressure to participate because I don’t succumb to peer group pressure easily. In fact, if anything, I go in the opposite direction. It wasn’t easy for me to lose friends sometimes and lose social contacts, but I had to make decisions whether I wanted to be with those people and do what they did or just quietly leave the room. That’s not an easy decision, but I think I made the right one. « Loretta Swit Interview: "M*A*S*H" Star Combines Art and Animal Activism in "SwitHeart"
😯 Am guessing you liked Tommy Roe? Coming from the Blue Ridge Mountain o North Carolina. Grew up with older siblings, so listened to Jetbro Tull throughout my early years of fantasy life. Fan mail. Uh boring. So in love with you .17 years old and heard your fantastic music in Greenville, .South Carolina USA. Got leather boots immediately and got thrown in a lake soon after by a jealous lover ! Kept those boots for many years. You are a genius and your wife and children so gifted. Probably lost in the tide, but hope you reach this. Chapeau bas Melissa for your work.